VIX Spike Calling a Bottom? 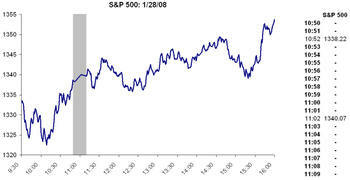 You be the judge, the chart below showed the VIX index versus the S&P 500 from 1995 through the present. 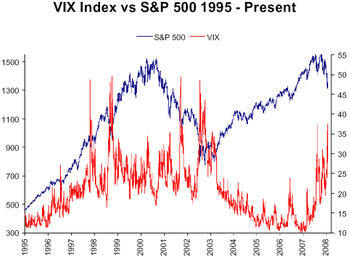 Although the chart is slightly noisy, unusually high spikes in the VIX do often indicate at least a short term bottom. This analysis is available with a deeper look at each spike and market activity thereafter. For more information click here. 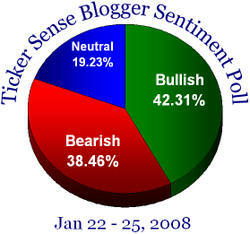 The optimists were able to hang on for almost two months, but this difficult market now has even the bloggers turning bearish. Yesterday's strong turnaround was attributed to several factors: Fed cut, bond insurers, dead cat bounce... Based on one measure it seems like some of the bigger players in the game were re-balancing their portfolios. 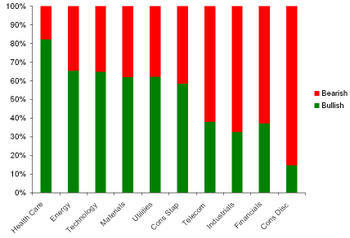 The chart below divides the S&P 500 in ten groups based on short interest as a percentage of shares outstanding. 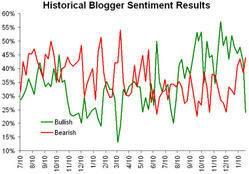 As shown, the fifty stocks with the largest short interest rose 8.80% on average yesterday, while those with the fewest shares sold short rose only 1.35%. 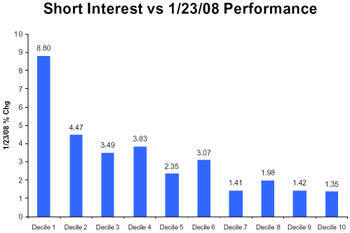 Birinyi Associates has pointed out on many occasions that the implications of short selling are now very significant. 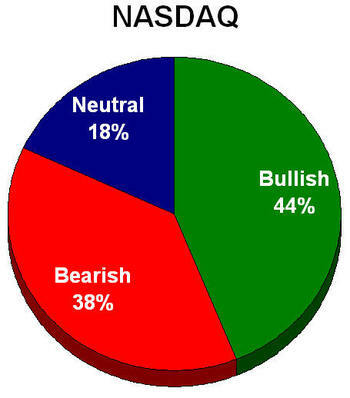 Since the regulatory change on 7/6/07, volatility by several measures has increased, and money flows for many issues have turned negative highlighting the negative impact of short selling. If you are interested in more information on this subject you may also be interested in the Birinyi Mini-Institutional service; click here for more. 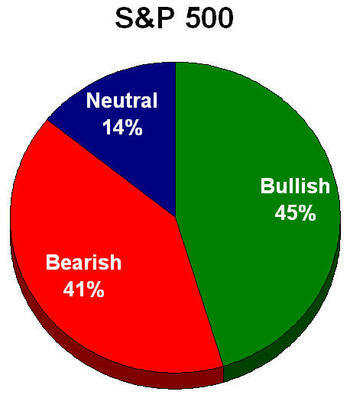 The recent market decline has many analysts and traders alike calling for a bear market. 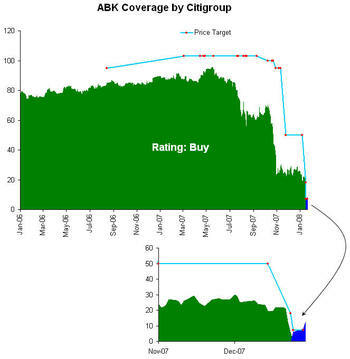 Birinyi Associates analyzed the current market correction (it will not be a defined bear market unless the S&P closes at or below 1252.12) and using the intra-day price of 1277.15 the market was 18.4% below its high close. 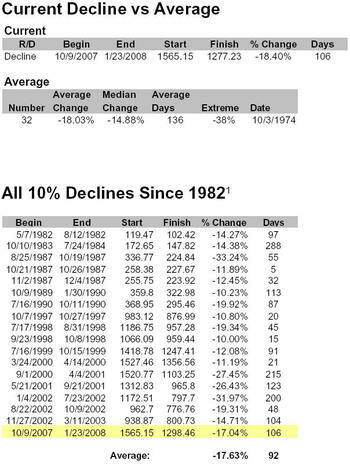 Looking at all 10%+ corrections since 1962, the average decline was -18% and lasted 136 days. The average decline since the 1982 rally is 17% (16% ex '87). 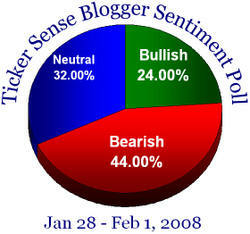 1 Note that some corrections did result in a bear market. 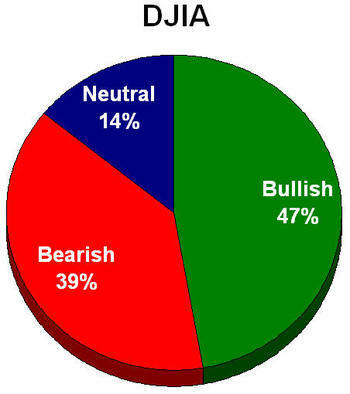 The views are still mostly split, although the bulls come out on top again. In all fairness, the poll WAS sent out last Friday. 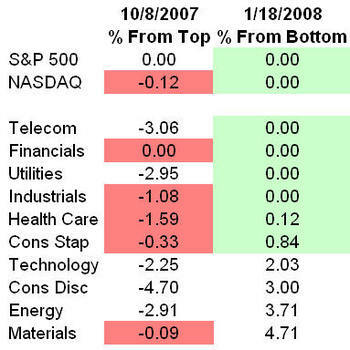 With the market and six of the ten sectors closing within 1% of their extreme lows, we are reminded of the extreme highs calculated on October 9th, 2007. This is not to say that the market will not post lower closes further down the road, but in the short term expect a bounce to the 50-day.